You may ask yourself "why can't I just create my own facebook page for my company, I created my personal one?" The answer is simple. You can ... but you will not be able to generate the same traffic or results a professional social media marking company can. Social Media Management provided by Southfire is so very important because the information about your business is not coming from you, the owner of the company, but from a friend. And because these new consumers found you through their "friends," you will be building a better brand, loyalty and customer base. This is a powerful tool, and you need to know how to use it properly. 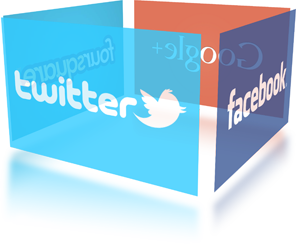 At Southfire, we can customize your Social Media Mangement package to best suit your business and your customer base. Whether you own a small start-up company or a large conglomerate, you can always benefit from more business ... and social media is one of the tools you can use to reach that goal. We can create an affordable plan for your business's needs which will soon pay for itself and more. Your website will also start to get more attention and traffic because of your creation and proper usage of social media sites. One other benefit of using our Social Media Management is the direct communication with your clients to provide you insight into what they are thinking about your business, so you will, in turn, be able to provide better customer service.